A testimonial, penned in 1937, possibly opens up a new field of research into theatre life in the Blue Mountains, and speculation that the famous international singer - Peter Dawson - was a one-time manager of the Empire Theatre at Katoomba. Dawson, at the time of writing the testimonial for Mr. Athol Farrell, was manager of the Majestic Theatre in Melbourne. Dawson attested to the professionalism and good character of Athol, the chief projection operator at the Empire, who he worked with for a period of ‘about seven years.’ The conjecture that it was the noted singer Peter Dawson seems to be confirmed by articles in the Sydney Morning Herald and the Argus (Melbourne) newspapers in 1939. The Argus stated that Mr Peter Dawson manager of the Majestic Theatre in Melbourne had resigned to take up a position as general manager of Continental Film Art Theatres of Australia in Melbourne. Further weight is added to that by Jeanette Horn who suggested that in 1936, and under the direction of Peter Dawson, the ‘famous tenor,’ the Majestic Theatre was decorated for the opening of Charles Chauvel’s film Uncivilised in 1936. According to Hoorn the early ‘Australian talkie,’ Chauvel’s fourth feature film, opened at the Majestic Theatre to a fanfare fit for royalty. Members of the three tiers of government attended on that first night including the Lord and Lady Mayoress of Melbourne, the minister for Agriculture, the minister for Labour and the Attorney General. The appearance of an Australian film was a cause for celebration among the sea of American productions, hence all the pomp and ceremony. It would seem that National pride or pride in Australian made was at its zenith. It is odd therefore, that this phase of his life does not appear in any biographical information. He was born Peter Smith Dawson in Adelaide in 1882, and was the youngest of nine children born to Thomas and Alison (nee Miller) Dawson. After his school education had ceased Dawson was apprenticed to his father who was an ironworker and plumber, however his parents did not fail to encourage his early musical abilities. Dawson sang in various church choirs and began singing lessons with C.J. Stevens when he was aged seventeen. Encouraged by his tutor, Dawson arrived in London and studies with B.L. Barnford and Sir Charles Santley and Professor Kantorez. Dawson’s association with Santley is of interest because Madame Jean Durand, who was associated with Springwood Ladies College in the early decades of the twentieth century, also had a connection to him. Durand, a proficient pianist, appeared in a number of concerts put on by Santley in Melbourne. In 1905, Dawson married Annie Mortimer Noble, the daughter of the box-office manager of the Alhambra Theatre London. Annie, a soprano, sang under the pseudonym Annette George. The couple never had any children. Dawson had a brilliant career, appearing at venues like the Crystal Palace, Queen’s Hall, and Convent Garden with Amy Castles. In 1904 he made a test record for Edison Bell Phonograph Co. And began a fifty-year career with His Majesty’s Voice and recording became the ‘dominant success of his career.’ Despite signing up for war service during World War One, Dawson did not serve overseas. He used various pseudonyms in both his singing and composing careers, and in 1930-31, topped the bill at the London Palladium. During the period 1939-47 Dawson lived in Sydney where he married his sister-in-law Constance Bedford Noble following the death of his first wife. Dawson worked with many famous names in the world of entertainment like the Tait brothers who took over J.C. Williamson’s business enterprise, pianist Lettie Keyes, composer and accompanist, Horace Stanley Keats, Ella Caspers and H.D. McIntosh. His association with Keats and McIntosh are of interest because Keats married Janet le Brun Brown who performed under the name of Barbara Russell. For a short time Janet had attended school in Springwood and Hugh McIntosh had business interests there. McIntosh was the proprietor of Bon Accord Guest House (owned by jeweller David Stewart Dawson). McIntosh, who promoted boxing matches and musical entertainments, was associated with J.C. Williamson who purchased the rights to several of his shows. Lettie Keyes, who was an accompanist for Dawson worked for George.H. Horton, the piano roll manufacturer, until 1929. It was Horton who discovered Edith and Laurel Pardey duo pianists who had received an ‘effective musical grounding at the convent in Katoomba.’ Mrs Pardey senior operated a guesthouse at Katoomba which became popular with holiday crowds because the Saturday night dance music was provided by the Pardey girls who played all the modern tunes of the day. Edith also played organ at St Hilda’s Church while Laurel was the dinner-music pianist for the Carrington Hotel. 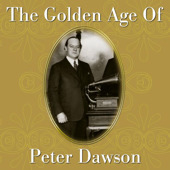 In 1927, Dawson recorded ‘Advance Australia Fair,’ and although the song had been composed in 1878, it did not achieve popularity until his record was released. Dawson is said to have remained unspoiled by his international fame. He and his second wife lived at Dee Why where he filled his days with ‘painting, drawing cartoons and growing roses.’ His funeral was held at St David’s Presbyterian Church Haberfield when he died in September 1961 and he is buried in Rookwood Cemetery. I think it is fair to assume that the Empire Theatre Peter Dawson is one and the same given the details of his association with the theatre. Nevertheless, it remains a mystery why his seven-year association with Katoomba remains un-recorded in the biographical details of his life. Peter Dawson, Testimonial letter about Mr. A. Farrell, 24.3.1937 in the possession of Shirley Evans. Argus (Melbourne), 28.3.1939, p. 10. Jeanette Hoorn, ‘White lubra/white savage: Pituri and colonial fantasy in Charles Chauvel’s Uncivilised (1936), Post Script, Vol. 24, Issue 2-3, Winter-Summer 2005. James Glennon, ‘Dawson, Peter Smith (1882-1961),’ Australian Dictionary of Biography, Vol. 8, Melbourne University Press, 1981, pp 245-246. The Making Of A Mountain Community: A Biographical Dictionary of the Springwood District, pp 213-215. Glenn Amer, Artists of the Mastertouch Piano Roll Co. 1919-2006, www.glennamer.com/amer/Piano_Rolls, accessed 3.5.2011. Frank Van Straten, Peter Dawson 1882-1961, Live Performance Australia, Hall of Fame, http://wwwliveperformance.com.au, accessed 3.5.2011. Ald. Dec.1934 - Nov.1936 (res.). Ref. K.Daily 4 Dec.1937 (caricature). Perhaps you could follow up the reference to the caricature in the Katoomba Daily when you are next in the library. I look forward to your further research on this.